When it comes to picking television shows, you need to choose carefully. You need to pick a show you can get behind, one that you can rely on. It's like choosing a girlfriend, albeit one you only see for an hour a week. It has to be a show you can stand proudly behind, saying "That's my show!" when it wins awards or gets a smattering of critical adoration. It needs to be a show you can tell your friends about, one that you can bring home to your parents. For me, Fringe is that show. And it all goes back to the writing staff of the show, headed up by the wonderful Jeff Pinkner and J.H. Wyman. I trust them more than I trust any other writing staff on television, bar none. That's a pretty big claim, and one I don't make lightly. This article is like if someone just read my mind. This is exactly what I think!!! I`m writing this all the time on our fan web site about fringe (czecho-slovakian web site). Too bad that people are sooo stupid to think the writers would kill off a main character just like that. They don`t believe writers they can come out of this with something good. I learned my lesson last year. I hated the season 2 finale. Because it was too hopeless. I felt sorry for Olivia. Now I know that they did something awesome with it. And I trust these guys. I know they won`t let me down. And Peter is coming back. If you people spend some time thinking about it you`d know it would be rediculous to end it with him like this. And I don`t feel bad about it because they are gonna do something awesome with it. Can`t wait to see that. If history tought us anything is that these two guys have it under control. I trust this creative team fully. I trust the Fringe team also--they know the fans, and know what we will and will not put up with! Great article (especially since I agree with you!). There's no doubt that next season will take us on yet another wild ride. The writing - and acting - on FRINGE has been consistently top notch. Hopefully, the word will spread, and we'll gain some fans over the summer via DVD. Agreed on all counts - watching them in interviews, I always get the feeling that these guys are as much in love with the characters as we fans are. JP and JW have earned my loyalty and trust, and I'll follow them without question. I love these guys and the care they take with the characters, the storylines, and the fans. We wouldn't be fans if the writers didn't do such a good job. I totally agree with that and with the majority of the what's said. But feeling anxious about what comes next or what will happen to my favourite characters is just part of the show too and another reason that brings me back week after week (day after day watching on dvd too). As a viewer, the guessing game is as much fun as it is watching and if i ever throw some theory/concern out there about what 'might' happen it's probably only 'cause i know that there are millions of other lunatics out there who are on the same wave length... So if people are expressing concerns or throwing theories around, I wouldn't say that it's a lack of trust in the writer, but more as a cathartic release between people who can understand what your talking about. Why I DON'T trust the writers of Fringe more than any other writers of television? I'm not sure they have gained my trust. The last season was too uneven and the decision to erase Peter from existence, a last minute decision according to them, reeks too much of shock value with little thought behind it. They could make it work or it could be a blunder, I'm just going to be cautious and see how it goes, but they'll have to convince me quickly. I've been badly burned by other writers I've trusted in the past and I'm not willing to let it happen again. I couldnt agree more. 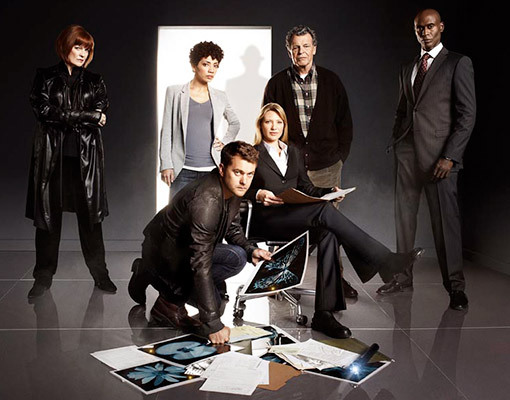 Fringe is AWESOME tv and its the writers, lead by Joel Wyman & Jeff Pinkner that help it to be stand out television. I have watched each and every episode at least 20 times & on each rewatch i am glued to the screen. The writers of Fringe are some of the most creative & talented people working in tv at the moment.Their work deserves to be recognised by more than just Fringe fans and tv critics. Their work needs to be recognised by their peers. I adore Joel and Jeff and often refer to them as the Gods of the Fringeverse. I only hope that i am lucky enough to chat to them at ComicCon 2011. And yes....they have earned my trust and absolute loyalty. Happy to be taken wherever they choose to lead me on our Fringe journey! @trent: Where did you read about non-existing Peter being a last minute decision? I think I have read every interview with Pinkner and Wyman, seen all the videos and I really don`t remember anything about the thing with Peter. I don`t remember them saying that it was a last minute decision. So I`m just curious - where did you read it? "John Noble: The script was evolving as we were doing it too – in particular, the ending with Peter evaporating. That was kind of a light thought that came in at one point and just made everyone say, “whoa.” But scripts often evolve like that, especially as they built the trilogy of episodes at the end of this season. So many things were happening, it was kind of mind boggling and very exciting, but kind of insane"
But that doesn`t prove anything :-D. You can`t even analyze info you read :-D. God this is so funny :-D.
This means just that actors got that part o the script that late. Doesn`t mean that they came up with it just hours before that. Noble just put it that way. He said scripts often evolve like that. But that doesn`t mean it wasn`t a part of the plan. They knew what they were gonna do but didn`t know how exactly put it in the script. That`s more likely to be true. Because that massive game-changing thing can`t be a last minute decision. And writers always have been saying it all along - that something in the finale is going to be game-changing and will put the show into a dirrefent context. Just imagine it. They say that they plan the whole season in a year advance. They know where they wanna go but the details the figure out along the way. But they always know what they wanna do. That`s the key part. In the first season they knew what`s gonna happen in the finale of that season. They figured out the details as the show progressed. In the season 1 finale they knew they were gonna introduce the "doomsday machine" in the season 2 finale and while writing the season 2 finale they knew that Peter was going to erase himself from the history in the season 3 finale. Right now, they know what`s gonna happen in the season 4 finale. The details are just matter of the decisions they make. For example last year when Olivia was held in a cell by Walternate they didn`t know how exactly they were going to tell stories over there. They wanted to tell it like in Etranda or like in the 7 episodes before Etranda. Shuffle the episodes (one over there, the other over here etc.) or do the both storylines in one episode? They figured it out. It was just a detail in the big picture. Jeff Pinkner said for HitFix: "Look, we as storytellers... It would be unfair to say it's Joel and I... J.J. [Abrams] and Bob [Orci] and Alex [Kurtzman] created the show and Joel and I and Akiva Goldsman and our phenomenal staff of writers have a paradigm and a framework that's been in place from early on. And we're exploring a world. So we established the world from the beginning and as we find avenues that are interesting, we go down them further and then they lead to doors that were maybe unexpected, but we go "Oh, that door connected to... That's a shortcut to France. We thought we would have to go to France by way of New York and then hopping on a plane and flying across an ocean, but in fact it turns out that we can head west and there's a door to France." I know that this is a horrible analogy, but a lot of the storytelling and a lot of the larger paradigms and themes have been in place from the beginning -- as is the ending, as a matter of fact -- but how we get there, we need to keep it interesting and exciting for ourselves. Otherwise, it will just be flat. So how we get there is always both predetermined and then also changes based on the choices we make." He didn`t mention that the device and what happened to Peter being a part of the plan all along but that machine and Peter is too important to be a last minute decision. It`s one of the "large themes" Pinkner mentioned. I have no doubts about it. Trust them completely. Have not been disappointed in 3 Seasons. Can't wait to see where this all goes. Why should I trust the writers? They messed up peter bishop just so everyone will hate on him and love Olivia more. So no, unless people can say NICE things about peter instead of always criticizing him, I will trust the writers. Btw, who would trust anybody who dumbed down characters just to make them the bad guys while making OLIVIA miss perfect? aren`t you the Frustrated Peter Fan from SpoilerTV? But even if you aren`t it doesn`t matter. What matters is that you have a very twisted and irational understanding of the reality and I feel sorry for you. "Please don't post as "Anonymous"! You can comment as "Name/URL" and put a name only, or if you post as "Anonymous", please at least sign a name at the bottom of your post so people can reply to your comments!" I do agree with the A @ Reedum- This person is mentally irregular. Totally obsessed with the Peter character and imagining everyone is against him. I never saw it and I never saw Olivia as being 'perfect' either. In fact she has so many issues I don't know when she will overcome them all - or if she ever will! As for Peter - I think a new version of Peter will be introduced from a third 'yellow' universe. "This means just that actors got that part o the script that late. Doesn`t mean that they came up with it just hours before that. Noble just put it that way." No. It was a last minute decision and it wasn't even in the first draft of the script the actors got. John Noble admits this in this video. It wasn't part of the plan, no matter how you look at it. This doesn't mean you have to be uncomfortable with this decision, it's not like I'm trying to sway anyone's position on this. I'm just trying to explain my lack of blind trust in these writers. The moment they prove to me they haven't killed the family dynamic and 3 seasons of character development, then I'll trust them. I`d rather trust the writers than actor who has no clue about the overall story. I`m not questioning inteligence of John Noble or his acting skills but when it comes down to the story of this show, he`s not the guy I trust because he doesn`t know what is "the master plan"
This is not a blind trust. I had my doubts in the second season and during the third season but when I saw hot it payed off later, I knew I can trust them. I think they intended this plot change to be shown later in the series but they realized it`s a "shortcut to France". I don`t believe this HUGE change in the show is just a chaotic last time decision. i'm in limbo over this issue. i really think the only thing that saved the show for me was the great acting. ( i love walter, he's the best) everything else seems to be in freefall. it's so much like the x-files path to me, once you show your hand and keep pounding that whole "quasi-lame behind the curtain thing that connects it all" story it goes from awesome to awww. getting new viewers is a pipe dream and killing off people is the only way to keep the "true" fans interested. I trusted them and put all my faith in them and loved this show with all my heart (what you wrote would have been speaking my mind after season 1 ended - I told everyone about it), then season 2 started and the whole first episode I was going, "wh..what? what the hell is this? what happened to everything, nay ANYTHING, that happened in season 1?" every week I said to myself, ok they'll get back on track this week, and here we are 2 seasons later without a shred of the 1st season's feel and intrigue left on the show and a missing peter and a bunch of lame fake outs, in terms of the story lines, later. what happened to john scott? bell being important? charlie being awesome then dying? walter being used for fart jokes? peter disappearing a last minute thing like the feel of much of the rest of the last 2 seasons? I will watch this show to the last episode because I loved the 1st season that much, but for me, it's starting to fall into the category you put LOST into for the exact reasons you described. it feels like watching the last season of lost all over again: every episode I say to myself "ok this one is where they get back on point" except after it starts, the whole episode every week I sit there saying to myself, "why the hell are they wasting time putting THIS on screen?" now there are elements I enjoyed sure, but I feel like science-fiction fans have been betrayed for the likes of shippers and lame-os. I mean, for God's sake, they had LEONARD NIMOY. LEAONARD NIMOY! come back out of retirement for them and all they could think of to do with him (a character who clearly knows a lot) is to animate him and have anna impersonate him, then kill him off AGAIN? why are they doing this?.. Most of the stuff you`re saying doesn`t make sense. John Scott died in the Pilot. Part of his consciousness was in Olivia`s mind but after 1.13 it faded away. You don`t get in even after watching that video? Well when 2.04 aired I thought Bell means by history repeating itself so many times that he know the war is coming. Back there I thought he meant something like people never learn from the past and they start war even though they know it`s horrible and many people will die because of it. But Bell was refering to the machine and how Walter sent it back through time many times before. It`s huge!!! Because Bell must have known this. And in the LSD episode he told Walter he knows that decisions Walter is going to make will be just. Because he knew everything. But how did he find out? See? He had to know many things and this was just a reminder he is important. And I didn`t like Charlie in the season 1. He was like Olivia`s minion and when she comes to him with something she needs without expaining herself to him and he does it just because he trusts her. Walter is Walter. He`s creepy and funny and says things in public that a normal person wouldn`t. But he`s still the genius scientist. If you didn`t see that then you didn`t watch the same show I did. And stop comparing Fringe to LOST. Because when you look for similarietes you find them. And then another and another etc. Just because you don`t see the context of some story lines now it doesn`t mean you`re never gonna see it. So next time put things together first and then blame writers.